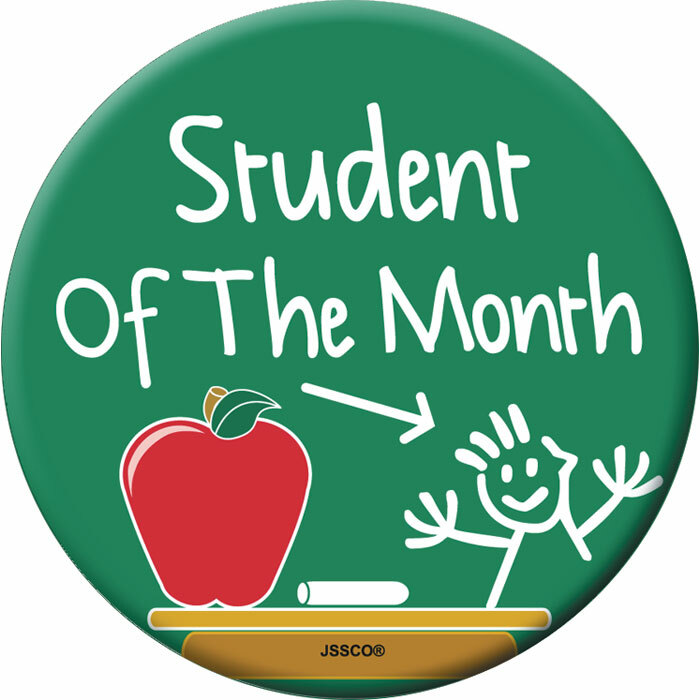 For the month of September 2015, we selected Julian De La Torre as our Student of the Month. Julian receives his tutoring in Chino. He just started the 4th grade, at Central Language Academy in Ontario. We have been working with Julian since December 2014. He has been working with our tutor, Gale, to help improve his reading and writing skills. 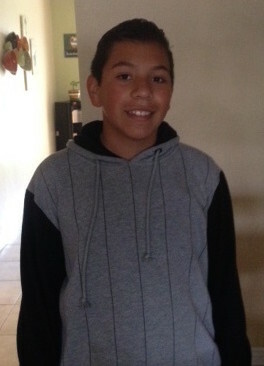 Julian has made great strides in his reading, writing and overall attitude about school since he began receiving tutoring. It has truly been a pleasure to see his growth. Therefore, we felt that his hard work and improved grades deserved to be acknowledged. About half way through his 3rd grade school year, we decided to have Gale work with Julian, due to some academic struggles that he was experiencing in school. Although Julian was always an attentive, confident, and well-behaved student, he lacked motivation when it came to completing his homework assignments, because he thought them to be pointless and tedious. As a result, his grades were not as great as they could be and he had difficulty reading and writing at his grade level. Therefore, we decided we needed to intervene early on, and have him work with Gale, in order to improve his understanding and make him have a more positive outlook about learning. Having him work with his tutor, 1 to 2 hours a week, seemed to make a world of a difference. Gale describes Julian as being a “hard worker. He has worked hard to improve his writing/reading skills. He listens well and is willing to try different approaches toward learning. Julian is an excellent student and a real pleasure to work with.” She then added, “He has a great positive attitude. Even when he felt frustrated, he never gave up and continued to work hard”. Luckily, Julian too enjoyed working with Gale from the start. Although at the beginning he was not too sure about receiving tutoring, he soon realized that, with her help, he could overcome a lot of academic hurdles that he had encountered previously. He also enjoyed the fact that Gale was able to modify her tutoring to meet his academic needs and learning style. They ended up being such a good match; they have a lot of fun during their tutoring sessions that Lupe, Julian and my mom, says she will often hear them laughing about the different stories Julian comes up with from the reading and writing activities Gale assigns him. Due to Gale’s guidance and Julian’s openness to learning, Julian has seen great improvements. Gale said, “Julian’s understanding has definitely begun to increase. For a while he struggled in forming ideas for writing paragraphs. He also had some difficulty in pronouncing some letter sounds when reading. After a period of time, Julian has finally shown huge improvements with both subject matters.” Julian’s grades have also improved as well as his confidence and his eagerness to learn and improve. Before, Lupe used to struggle to get him to complete his homework assignments, but now, he often gets home and starts completing his assignments on his own without needing much of a push. Thanks to the tutoring Gale has provided along with Lupe’s involvement in Julian’s education, Julian now feels confident to tackle almost anything he is presented with at school. We are excited to see how much more Julian grows and is able to accomplish. We are sure he will be able to overcome any obstacle he is presented with as long as he maintains the same attitude and continues to work hard to reach his goals. Congratulations Julian! 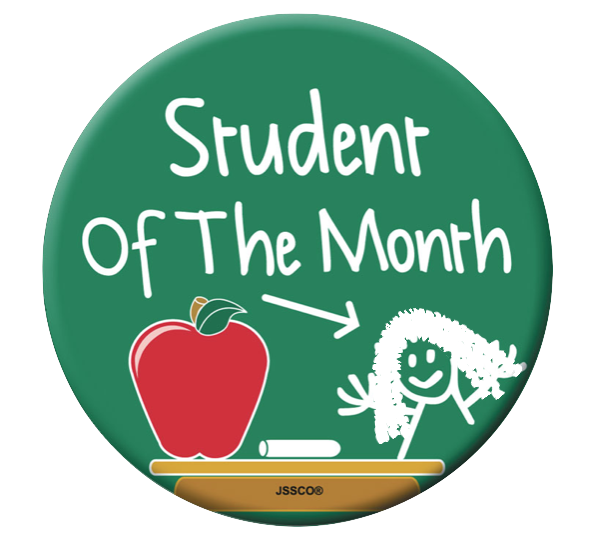 We are proud to call you our September 2015 Student of the Month, you deserve the acknowledgement. For the month of June 2015, we selected Natalie Henderson as our Student of the Month. Natalie receives her tutoring in Chino Hills. 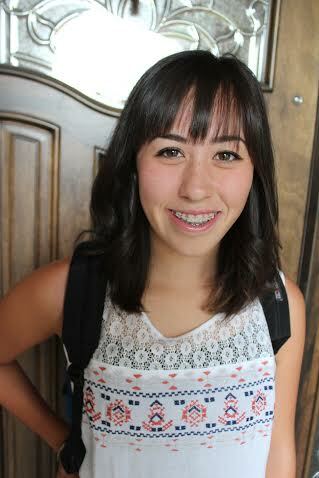 She will be starting the 12th grade, in the fall, at Chino Hills High School. We have been working with Natalie since early March 2015. She worked with our tutor Karen, to help improve her understanding of Algebra II. Natalie has been such a wonderful student to work with. We first began working with Natalie in early March of this year. Marion and Natalie reached out to us for help because they realized that if they didn’t, Natalie was in danger of failing her Algebra II class. Marion said, “After receiving a “D” on the first semester report card of her junior year in Algebra 2, and starting off the second semester with yet another “D”, we realized we needed more help; quickly”. They sought out help and our company was referred to them by a friend. After learning a bit more about Natalie’s tutoring needs, we decided to pair her up with Karen, because we knew Karen was a patient and kind tutor and that she excelled in higher level math. They seemed to be a great match; Karen and Natalie instantly hit it off. Marion described her experience with Karen as being a pleasant one. She said, “Karen was always prompt and very friendly. She was flexible enough to keep up with our crazy schedule, sometimes even coming to our home in the evening, for tutoring, on very short notice”. Similarly, Karen too enjoyed working with Natalie and Marion. She described Natalie as being “a passionate, determined, and disciplined student on and off the court”. 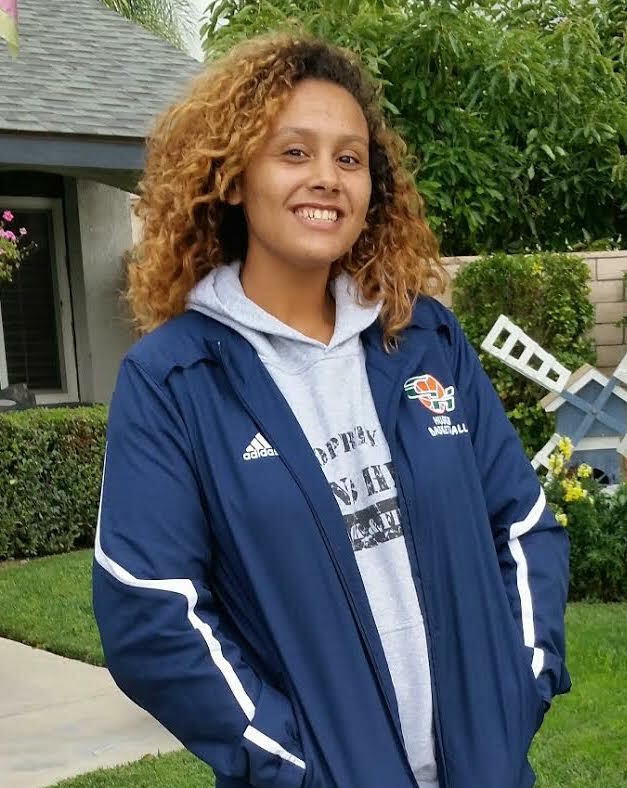 They both worked well together, because they shared a common goal, which was to help Natalie excell in Algebra II in order to improve her grade and make sure she was able to continue taking part in her high school’s basketball team. 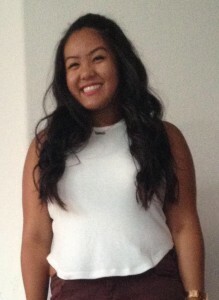 Karen described Natalie as a bright student who is fun and easy to work with. Karen credits Natalie’s improved understanding to her ability to ask questions when she was unsure about something. Similarly, Marion described Natalie as a “good student, with A’s and B’s usually”; she said Natalie has good work habits, but that seemed to struggle with math. She went on to say that Natalie simply needed some assistance and a new take on how to interpret Algebra II. She believes that Karen was a good fit because of her patient and understanding nature. Marion added, “I liked the fact that she often asked Natalie questions, knowing that if Natalie could explain it to her, she knew how to do it”. Thanks to their time working together, and Natalie’s strong desire to succeed, Natalie did see improvements in her Algebra II grade. Karen said, “During our tutoring sessions, we would focus on the concepts and formulas that were being applied in her homework assignments in order to get a better understanding of the material. Through this focus, I saw a positive change in her quiz and test results, which makes me proud as her tutor”. Karen added that Natalie acquired the tools to work independently on much of her homework, without needing too much guidance. Marion also noticed improvements in her daughter’s understanding and grades; she said, “Natalie worked her way up to a C+ before finals. We were all nervous when it came to finals, hoping she would be able to at least maintain that C. But imagine our surprise and excitement when she ended up with a B- as her final grade!” Clearly, Natalie exceeded hers Marion’s expectations and performed even better than they thought she would on her Algebra II final. We are thrilled with Natalie’s substantial accomplishment in such a short period of time. Clearly Natalie just needed a bit of guidance and some one-on-one time with a knowledgeable tutor to help her succeed in her Algebra II class. We are very happy that we were able to be part of the process and that we had the opportunity to work with Marion and Natalie. We want to say congratulations to Natalie! We look forward to working with you again in the near future and helping you achieve all of your academic goals. Thank you for letting us be a part of your academic journey. For our first annual Student of the Year, we selected Theresa Valdez. We awarded her with a small scholarship for her to use for her future college endeavors. Theresa receives her tutoring in Norco. 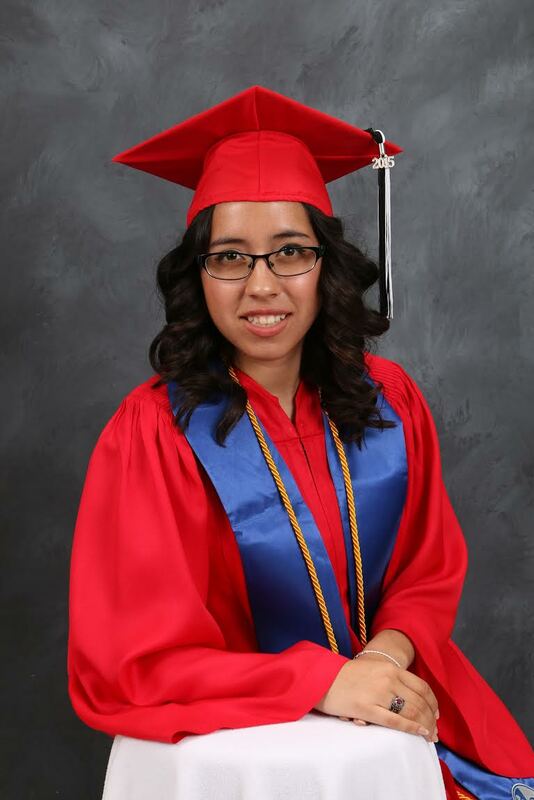 Theresa just graduated this school year from Centennial High School; we have been working with her since April 2013. She has worked with Laura, from the beginning, in order to improve her understanding of math and she also worked with a few other tutors, this year and last, to improve her understanding of history. Theresa has been a dream student to work with right from the start. From the moment we started working with Theresa and her mom, Pat Martinez, we knew there was something special about this student and her mother. We were in awe of how invested they both were in Theresa’s academic future. We also soon learned that Theresa was the type of student that really liked to challenge herself. Throughout her academic career, she took multiple AP classes while participating in extracurricular activities that helped her stay focused, very busy, and helped her become the well-rounded young woman she is now. Like we do with all our students, we wanted to make sure we would do the most we could to help her achieve her academic goals. In order to help her meet her goals we had to match her up with equally ambitious tutors that were highly intelligent, great role models, and very passionate about their subject matter; we managed to do just that. Theresa began working with our tutor, Laura, right from the start. Laura was there to guide Theresa through her math courses and to help her gain a better understanding of the subject. Although math was not Theresa’s favorite subject, by any means, Laura managed to make math fun and relatable for Theresa. Theresa and Laura seemed to be a perfect match; they enjoyed each others company and understood each other’s learning and teaching styles very well. Laura describes Theresa as being “dedicated, independent, diligent and creative. She loves art and applies her abilities to any school project.” She added, “We have had many laughs over the years and I will never forget her or her family”. Although Laura will miss working with Theresa, she is happy for her and proud of everything she has accomplished these past few years. Laura said, “She may not be the greatest at math, but she never gives up working on a topic until she has mastered it. I am very proud that she has become more confident in her own abilities and does not require my help as often. I am also proud of her for getting into my Alma Matter, Cal Poly San Luis Obispo, even though she made her own choice to go to the University of Portland”. Clearly, not only did Laura play a significant role in Theresa’s academic career, but Theresa also had an impact on Laura. Their mutual love of learning helped them bond and form a real respect for one another. For history, Theresa had a few tutors. During her sophomore year, we originally paired her up with a tutor, whom although intelligent and knowledgeable, was unable to meet Theresa’s tutoring needs; therefore, we ended up agreeing that it was best to make a change. The second tutor we assigned her for her AP US History class, Jonathan, was a much better fit. We worked closely with our tutor, Jonathan, with Theresa, her mother, and her history teacher to come up with a plan of attack in order to ensure that Theresa was getting the most out of her history class and the tutoring sessions. After coming up with some ideas, we finally seemed to find the key to helping Theresa succeed in her history class. During her senior year, Theresa took IB Latin American History. We struggled a bit to find her a tutor that we felt was qualified enough and that would be able to help her succeed in her history class. We eventually were able to find the perfect tutor, Jim, a Latin American History college professor at UC Riverside. We were thrilled when he agreed to tutor Theresa; we knew there was no one who could better help her than Jim, and he did just that. Jim really enjoyed working with Theresa. He describes Theresa as, “a very disciplined student. She already has the organizational abilities and disciplined approach that most students at college do not have. She is above first year college students”. He went on to say that she has greater intellectual maturity than many first year college students. Additionally, he felt that their tutoring sessions were great due to Theresa’s genuine curiosity of the subject. Although, history was also not a favorite subject of Theresa’s, she always showed up to the sessions ready to learn as much as she could and with an open and inquisitive mind. They both showed genuine respect for one another and they made the most out of their tutoring sessions together. Theresa is an exceptional young woman; she is truly one of a kind. We were very fortunate to get the opportunity to work with her, and her mother, for over 2 years. Throughout those two years, we have been extremely impressed with everything that Theresa has accomplished. In September 2013, we selected her as our Student of the Month. 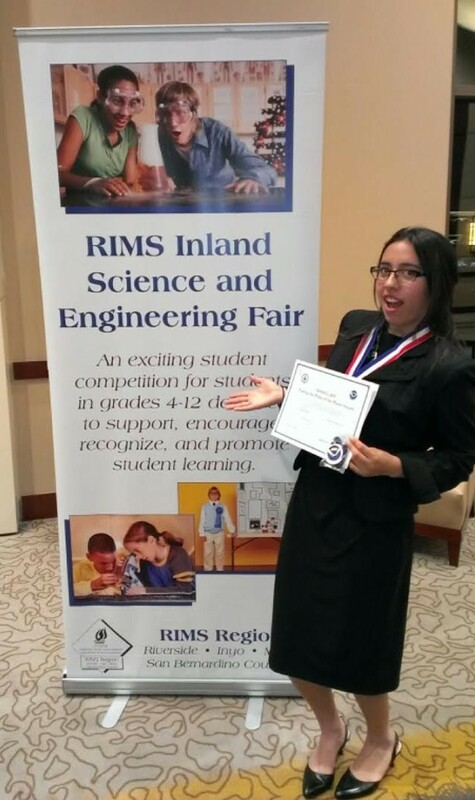 Additionally, a year after we started working with her, we also dedicated a blog article to her and her silver medal win at the RIMS Inland Science and Engineering Fair. Finally, this year we have learned that she was accepted into many colleges, including her dream college, the University of Portland. We also learned that she received a $72,000 scholarship to the University of Portland. We could not be prouder or more excited for Theresa and her family. It’s rare when we work with students that are so focused, motivated, and know what path to take in order to achieve all of their goals; Theresa is one of those rare students. We asked Theresa’s tutors if they had any advice for Theresa, for her future academic career; Laura said, “My only advice would be for her to continue to be organized, study hard, go to office hours and have some fun”. Similarly, James said, “Theresa already has the college skills she needs to succeed”. Essentially, as long as Theresa continues on the path that she has been on, she is fated to succeed and to achieve all of her academic goals. We just hope to continue to be updated on all the wonderful successes she is destined for in her future. On June 15th, 2015, we had the honor of interviewing both Theresa and Pat at their home. To learn more about these wonderful women, click play and enjoy. Thank you Theresa and thank you Pat. We wish you both much future success and we hope you stay in touch. For the month of May 2015, we selected Alex Torres as our Student of the Month. He receives his tutoring in Chino Hills. Alex is a 7th grade student at Townsend Jr. High; we have been working with him since January 2015. He worked with our tutor Chris to help him with his science, English, math and history classes. Alex proved to be a delight to work with. We first met Alejandro, Clarissa, and Alex Torres at the beginning of January 2015. We met with them in order to discuss their tutoring needs and to ensure that we found the best tutor possible for Alex. They expressed to us that Alex needed someone to guide him and help him with science, English and history. They needed a tutor that would be able to, not only teach, but also motivate Alex. We knew that Chris would be a great choice; after meeting Chris, the Torres agreed. Chris and Alex got along very well from the beginning. Chris describes Alex as having a great personality, being very smart, and also as a very funny young man. He goes on to add that, although Alex has a hard time staying focused, they managed to find techniques to work around that and to ensure that he retained vital information. Chris really enjoyed his time with Alex; he loved seeing him improve his understanding of the different school subjects while learning some new techniques that will help him in his future studies. After having worked with Alex for five months, Chris did see Alex improve in several different areas. Chris says that Alex’ grade in math improved and he also saw his understanding of science improve greatly. Nonetheless, most important of all, Alex was able to learn more effective ways of studying as well as how to pace himself when completing assignments so as to not miss any vital information and ensure that he was retaining everything he needed to successfully complete what was required of him. Chris knows that if Alex keeps working hard and uses the tools he was taught, he will continue to see improvements and he will be well on his way to achieving his academic goals. Alex is a wonderful student with great potential, he just needed someone who could guide him and help him learn how best use his energy to study and learn successfully. Alex’ parents also noticed improvements in his understanding of the course materials as well as in his confidence in himself. They said, “Not only has Alex’ grades improved, but his outlook on studying and organization has made a great difference on him as well. Alex’ self confidence has greatly improved in school. We thank our awesome tutor Chris for a wonderful job!!! Highly recommended for any student having trouble. Chris has made a life changing adjustment in Alex’ life, Alex future academic goals look bright.” Clearly Chris was a great match for Alex’ tutoring needs. We could not be more delighted about the results that Alex and his family saw. We strive to find the best tutor for each one of our students, and it sounds like in this case, we did just that. We could not be more pleased with our time with the Torres family; they are kind, dedicated, and very involved in Alex’ education. Thanks to their openness to work with us and their tutor and their continued hard work, Alex was able to reap the benefits of tutoring and begin to see some very essential changes in his perception of learning. We know that nothing but success awaits Alex’ academic future, as long as he continues to have the support of his parents and as long as he continues to work hard and strive to live up to his potential. Congratulations Alex! We look forward to hearing about all your future successes! 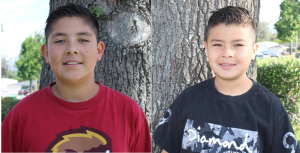 For the month of April 2015, we selected Michael and Christian Leib as our Students of the Month. Although we typically select one student as our Student of the Month, we decided that this month we would make an exception due to the great successes these two brothers have achieved in the past few months. Michael and Christian receive their tutoring in Chino. 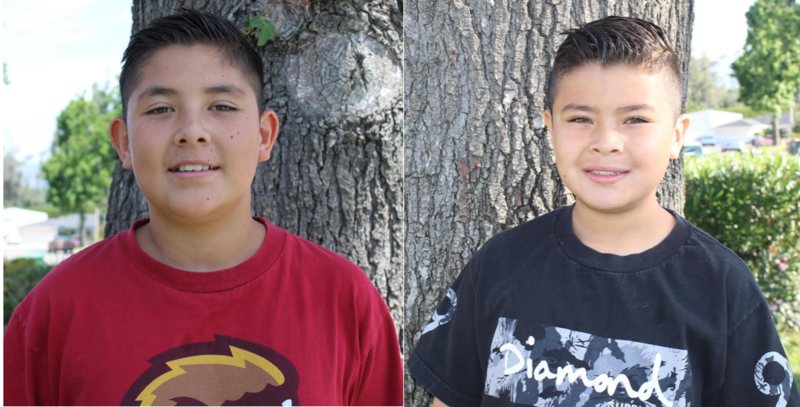 Michael is a 5th grader and Christian is a 3rd grader; they both attend Lyle S. Briggs Fundamental School. They have been working with us since October 2014; they have been working with our tutor Nicole to help them improve their understanding of math and their writing techniques. Both Michael and Christian have made great strides in these past few months; we could not be prouder of these two talented young brothers. We first met Maria, Michael and Christian’s mom, through another client we were working with. Maria first approached us because her two son’s were in need of some additional help with their math studies and their writing skills. Due to her request, and because we agreed that it would be a great match, we paired up her boys with Nicole. Right from the start it was a perfect pairing. Nicole describes the boys as being great kids who are very deserving of praise for their enthusiasm and hard work. She describes Michael as being, “probably the most organized student I have tutored. He is very neat, which I believe helps contribute to his academic success. On top of this, Michael is very vocal when he doesn’t understand a certain subject. This is a very good trait to have because it helps me determine how much time to spend on each subject.” We recently learned from Maria, that Michael had received the honor-roll – a prestigious award given to students who have a 3.0 GPA or higher for the trimester. Nicole describes Christian as being “a very eager learner. He listens carefully and gets so excited when he understands a subject. 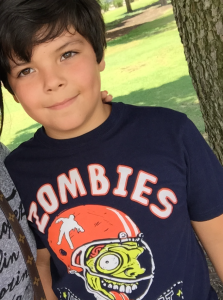 I believe Christian’s enthusiasm for learning is a strong contributing factor to his scholastic improvement.” We also learned that Christian received an award in school for his improvement in math. We asked Maria what her thoughts were on the tutoring services they had received thus far. She noted that she has seen great improvements in her son’s school performance; she said, “With your services, both of our sons are making academic progress. The boys are showing more confidence in day to day activities, especially in school. We appreciate your patience and your hard work. Thank you The Tutoring Solution and especially our sons’ tutor, Nicole.” Nicole too has noted improvements, she said, “Every week I work with Michael and Christian I observe how their understanding of the course material increases. Both boys have taken what they learned in the past and are using their previous knowledge to help them answer current problems.” She also added that due to their time together, “Michael is able to complete his assignments and explain exactly what is going.” While, Christian’s “math skills have increased enormously. Not only is he understanding math better, but he’s able to complete problems at a faster pace, which will help him on exams.” She also added that Christian’s spelling has also improved. Congratulations to Michael and Christian! You are both very deserving of this nomination. You are a pleasure to work with. We hope to be able to continue to work with you and see you both achieve more of your academic goals. Thank you for letting us be a part of your academic journey. For the month of March 2015, we selected Kylie Parrini as our Student of the Month. Kylie receives her tutoring in Chino. She is an 11th grade student at Ayala High School. She has been with us since October 2014; she has been working with our tutor Yessenia to help her improve her understanding of Honors Algebra II. Kylie has seen great progress while working with Yessenia, which makes our job extremely rewarding. When we were first approached by Kylie’s parents, they informed us that they wanted us to find a tutor for Kylie that could help her improve her understanding of Honors Algebra II. Like many other students, Kylie was struggling with her math class and receiving a low grade due to her lack of understanding. Kylie’s dad, Jim Parrini, said, “When (Kylie’s) tutoring first started she was barely passing with a C-.” Luckily, we found a tutor whose teaching style worked out great with Kylie’s learning style – they both seemed to hit it off right from the start. Kylie’s tutor, Yessenia, credits Kylie’s improvement to her strong work ethic, she said, “Every time we meet, she is always ready to learn and answer her points of confusion, whether it’s from math problems from her homework or her class notes.” Kylie clearly did not lack in motivation; she simply needed a bit of guidance and to learn the necessary tools to better understand her math class. With a bit of time and patience, Kylie soon began to see the fruits of her labor. Yessenia says that Kylie has improved so much that she is now able to catch her own mistakes and correct them before Yessenia even has the time to point them out. Yessenia has really enjoyed her time with Kylie. Not only is she proud of the academic goals Kylie has accomplished while working with Yessenia, she also values the bond, as tutor and tutee, that they have developed. Yessenia revealed that they have so much fun while learning that there are even times when they forget that the hour is up. Clearly they have found a perfect balance between learning and fun and the results (i.e. Kylie’s grades) clearly demonstrate that. When asked about their experience with our tutoring company, Jim said, “The Tutoring Solution worked with us to find the best fit for Kylie’s learning style and the improvements have been extraordinary.” We are so grateful to be able to work with such a wonderful couple like Ruth and Jim who have worked with us every step of the way to make sure Kylie continues to succeed. Their support for their daughter has contributed vastly to her academic growth. Part of the recognition, when we nominate students of the month, is also for the parents of those students. We are proud to announce that Kylie now has a high B in her Honors Algebra II class. Additionally, in her two most recent math tests she earned an 89% and a 92%. Although fantastic, Kylie and Yessenia are not settling for a B, they are now working towards making sure Kylie earns a B+ or an A- by the end of the school year. We are sure that is completely feasible if they continue working as they have. Congratulations Kylie! We are very proud to call you our March 2015 Student of the Month. Keep up the great work! We provide tutoring in Chino, Corona, Norco, Eastvale, Chino Hills, Mira Loma, Alta Loma, Ontario, Rancho Cucamonga, and all the surrounding cities. We have students from Sky Country Elementary, Oxford Preparatory Academy, Heritage Oak Private Education, Townsend Junior High School, Roosevelt High School, Alta Loma High School, Norco High School, Centennial High School, Chino Hills High School, Ontario Christian High School and Ayala High School. 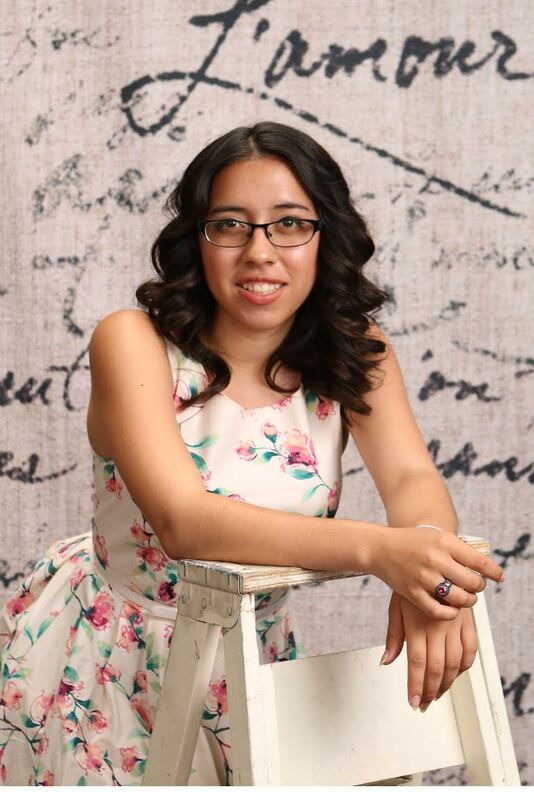 For the month of February 2015, we selected Karen Pedraza as our Student of the Month. Karen receives her tutoring in Corona. She is a 3rd grade student at Harada Elementary School. Karen has been working with our tutor Anfal, since the beginning of the school year, to help her improve her reading skills. Thus far, Karen has made tremendous progress – we are extremely excited for her and very proud. When we first began working with Karen, her mother expressed that she was feeling frustrated for her daughter, due to the fact that Karen was not reading at her grade level. We knew we had to assign a tutor that would not only be knowledgeable and experienced at working with students at that age level with reading, but also someone that would be patient and would make Karen feel comfortable; therefore, we assigned Anfal. Anfal turned out to be a great fit with Karen. After just a few months, Karen improved immensely and has begun to read at her grade level. We could not be happier with the progress that Karen and Anfal have made while working together. It is truly outstanding how much she has improved in such a short amount of time. Clearly they work great together and we expect nothing but great things in Karen’s future. Leticia Pedraza, Karen’s mother is a great reason for Karen’s improvement, she knew to ask for help when she saw that her daughter was struggling and she has worked to make sure Karen does not miss many, if any, sessions. We are delighted to be able to work with both of them and we are extremely proud of Karen. Congratulations Karen!